Come join us for our sixth annual celebration of National Arts and Humanities Month, on Sunday, October 19, 2014 at 7:00 pm, at the Mountain View Center for the Performing Arts! 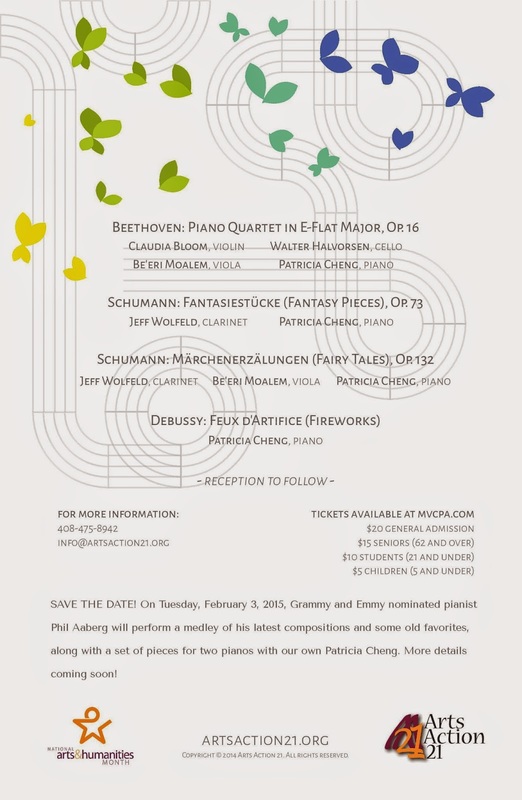 Performers will include Patricia Cheng (piano); Claudia Bloom (violin); Be'eri Moalem (viola); Walter Halvorsen (cello); and Jeff Wolfeld (clarinet). Tickets on sale now at www.mvcpa.com! Concert tickets are on sale! Tickets are on sale now, for our upcoming concert on Sunday, October 19, 2014! Please visit www.mvcpa.com to buy tickets to attend "Musical Enchantment: Fairy Tales, Fantasy and More". Don't miss it! Our musicians will perform this program only once. 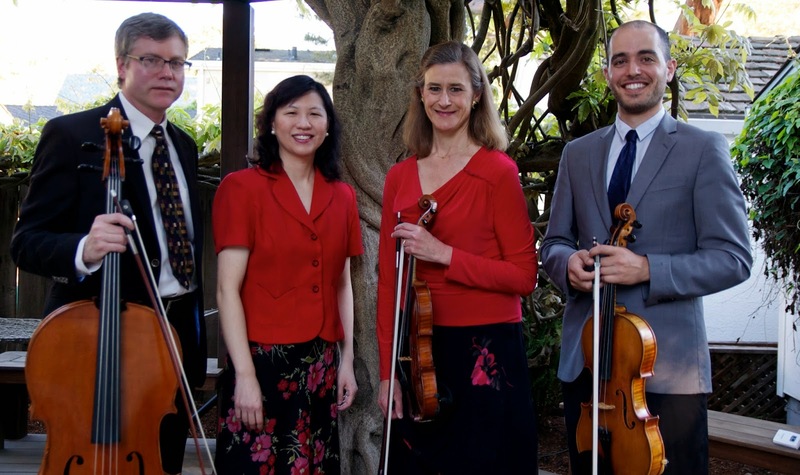 The concert will feature Beethoven's Piano Quartet in E-Flat Major, Op. 16; Schumann's Fantasiestucke (Fantasy Pieces), Op. 73; Schumann's Märchenerzälungen (Fairy Tales), Op. 132; and Debussy's Feux d’artifice (from Preludes, Book II. To learn more about our featured artists, please visit: http://www.artsaction21.org/p/2014-featured-artists.html. We're making plans for our sixth annual celebration of National Arts and Humanities Month! We are pleased to announce that we will be presenting our sixth annual celebration of National Arts and Humanities Month on Sunday, October 19, 2014. 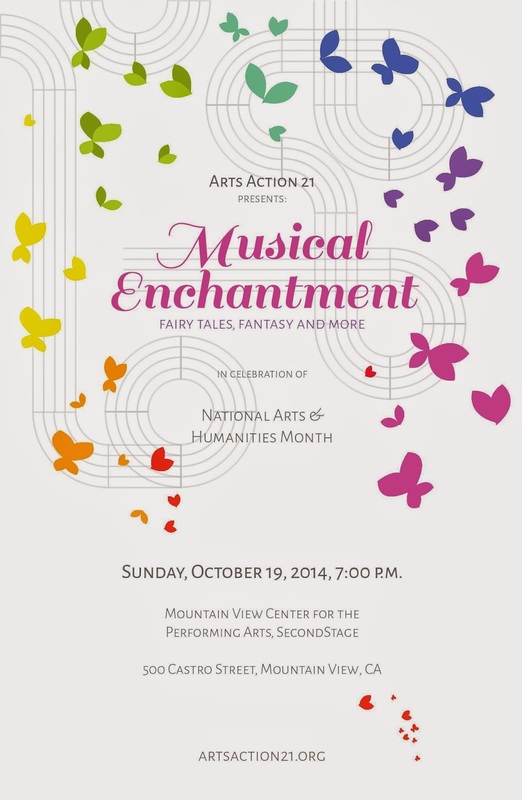 Our special event (titled "Musical Enchantment: Fairy Tales, Fantasy and More") will take place at the Mountain View Center for the Performing Arts, at 7:00 pm in SecondStage. Experience the transformational power of music in this enchanted evening, which will feature masterpieces by Beethoven, Schumann and others!